With the appearance of turbocharged Formula One cars in the late 1970s, "turbormania" gripped motorsports and spilled over into everyday life, where the word "turbo" was applied to products from aftershave to vacuum cleaners. 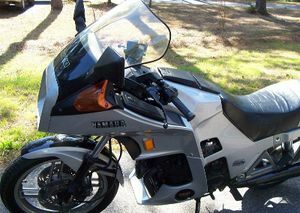 In the two wheeled world, every major manufacturer added a turbocharged model. 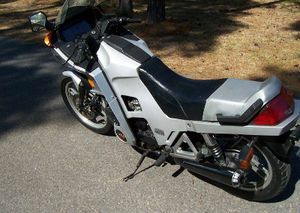 Honda led the way with the CX500T; Yamaha was more cautious. 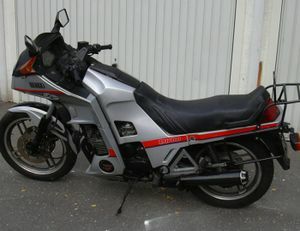 Yamaha chose its XJ650L as a starting point. To speed development while keeping costs as low as possible, the marque decided to retain carburetors rather than shifting to Fuel injection. 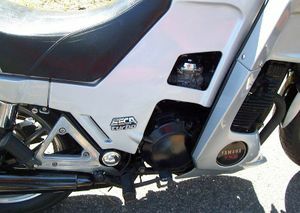 A small-diameter turbocharger minimized throttle lag. 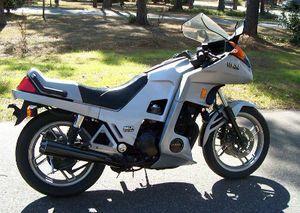 Otherwise, the machine was quite conventional, though its aggressive fairing made it look at least like a fuel-injected 750. However, its performance was little improvement on the normally aspirated version, and sales were low. This page was last edited on 28 November 2010, at 22:48.